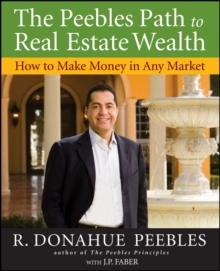 You can still find plenty of good deals in a failing real estate market by applying the advice in The Peebles Path to Real Estate Wealth: How to Make Money in Any Market . Multimillionaire teal estate mogul R. Donahue Peebles makes it possible for you to always win in real estate, provided you have the right knowledge and exercise good judgment in the deals you make. Start with small investments and work up to bigger, more profitable properties; before you know it, you'll be a smart investor earning large profits!